Explosives industry members play an integral role in maintaining and improving our quality of life in the United States and work to bring countless benefits to our everyday lives. In addition to their evident use in mining and demolition, explosives are also used in the field of animal or pest control. 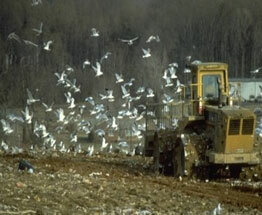 Explosive pest control devices (EPCDs) — often referred to as “bird bombs,” “shell crackers,” or similar terms — are used to maintain adequate levels of agricultural and aquacultural production and aviation safety by minimizing crop damage and interference from pests, birds, and seals at airports, landfills, farmland, golf courses, and fishing areas. 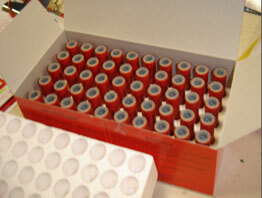 EPCDs are regulated explosives that fall under ATF jurisdiction. As a part of ATF’s public safety mission, ATF is committed to working with industry members to protect the public from unsafe or insecure storage and the potential misuse of these explosive materials. Under Federal explosives laws, all persons who wish to manufacture, import, or distribute explosives, including EPCDs, must acquire a Federal explosives license, and those who wish to receive explosives must acquire a Federal explosives permit. 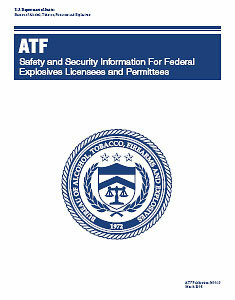 ATF license and permit requirements may be found on ATF’s website at https://www.atf.gov/content/explosives/explosives-industry/how-become-federal-explosives-licensee-FEL. In addition to an ATF Form 5400.13 — Application for Explosives License or Permit, and the application fee, applicants must submit a 2″ x 2″ photograph and a completed FD-258, Fingerprint Identification Card (obtainable through a local law enforcement agency) for each Responsible Person (RP). Further, an ATF Form 5400.28 — Employee Possessor Questionnaire, is required for each Employee Possessor (EP). An EP is an individual who has actual or constructive possession of explosive materials during the course of his or her employment with the applicant’s business. Background checks are conducted for all RPs and EPs submitted with an application. Pest control devices containing only black powder or pyrotechnic compositions are low explosives and may be stored in Type-4 magazines without a variance. See ATF P 5400.7 — Federal Explosives Law and Regulations 2007 (ATF Orange Book) for magazine construction and locking requirements. Total remaining on hand at end of the day. Persons storing explosive materials must notify the authority having jurisdiction for fire safety in the locality where the explosive materials are stored. This notification should include the type, magazine capacity, and location of each site where the explosive materials are being stored. Notification must be made orally before the end of the day on which storage commences, and in writing within 48 hours from the time such storage commenced. The authority having jurisdiction for fire safety is typically the local fire department. The following web site is provided to assist individuals in determining who has jurisdiction for fire safety in their area. Any person who has knowledge of the theft or loss of any explosive materials from their stock must report such theft or loss within 24 hours of discovery to ATF and to appropriate local authorities. Call the nearest ATF office or the toll free number 1-888-283-2662. Call your local law enforcement office to report the theft or loss. If the explosives are lost or missing, you should make it clear to the authorities that there is no evidence of a crime and that the disposition of the explosive materials is unknown. Third, complete the report form (ATF Form 5400.5) and attach any additional sheets or invoices necessary to provide the required information and mail or fax it to the ATF office located nearest you. Be sure to submit the original form(s) to ATF and retain copies for your records. ATF and industry share common goals of ensuring public safety and protecting America against potential criminal or terrorist activities. Therefore, while ATF is primarily concerned with law enforcement and regulatory duties, we also strive to work and consult with the explosives industry and its associations to ensure the safety and security of the public. ATF Publication 5400.15, Safety and Security Information for Federal Explosives Licensees and Permittees - produced in partnership with International Society of Explosives Engineers and the Institute of Makers of Explosives - provides industry members with useful tips, techniques, and tools for properly securing explosive materials. This publication includes voluntary check lists to help identify areas of weakness and vulnerability in security, recordkeeping examples, ATF hotlines, and contact phone numbers, as well as other useful information. Note: As specified in the Federal explosives law at 18 U.S.C. §845, and the Federal explosives regulations at 27 CFR 555.141, the transportation, shipment, receipt, importation, manufacture, distribution to, possession by, and storage of explosive materials by Federal agencies of the United Sates are exempt from the Federal explosives requirements. However, States and their political subdivisions (e.g. municipal airports) must still comply with storage requirements and should report any theft or loss of explosive materials to the United States Bomb Data Center at 800-461-8841, or after hours at the ATF 24 hour hotline (800-800-3855).